When you win the USA Cycling Cyclocross National Championships 12 straight times, it’s likely your bike will be one of the most profiled bikes by Cyclocross Magazine. We’ve had a number of looks at Compton’s winning bikes, as she’s won riding Redline, Primus Mootry, Stevens, Giant and for many years now, Trek. 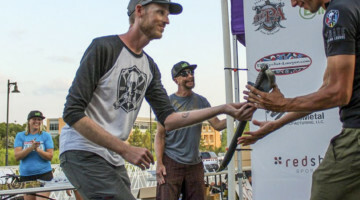 We’ve seen her alloy Crockett prototype in 2013, her Crockett one season later, her winning Boone in Boulder, then in Austin, and finally in Asheville. 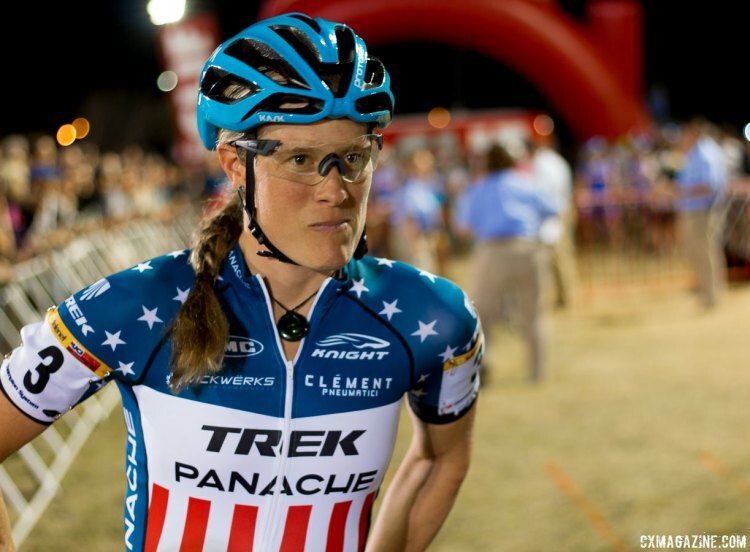 For the 2016/2017 season, Katie Compton has a new one-racer program for this season after her Trek Factory cyclocross team disbanded last season when Trek picked up sponsorship of the Telenet-Fidea cyclocross team. 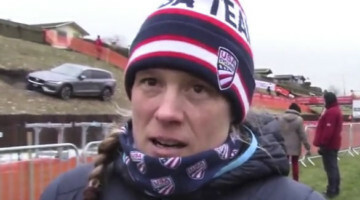 There was a brief moment when the surprise team news had Compton doubting her ability to continue as a professional cyclocross racer, according to husband Mark Legg-Compton. However, after a bit of regrouping, the 12-time National Champion is back at it again, and now is healthy, rested and sporting some new equipment. 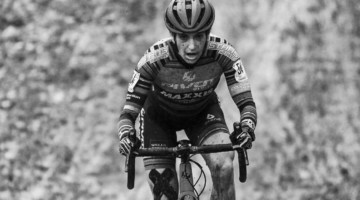 While Trek continues to supply her bikes (that she had a role in developing), she added new sponsors to put together a racing program for the season. It’s off to a good start. 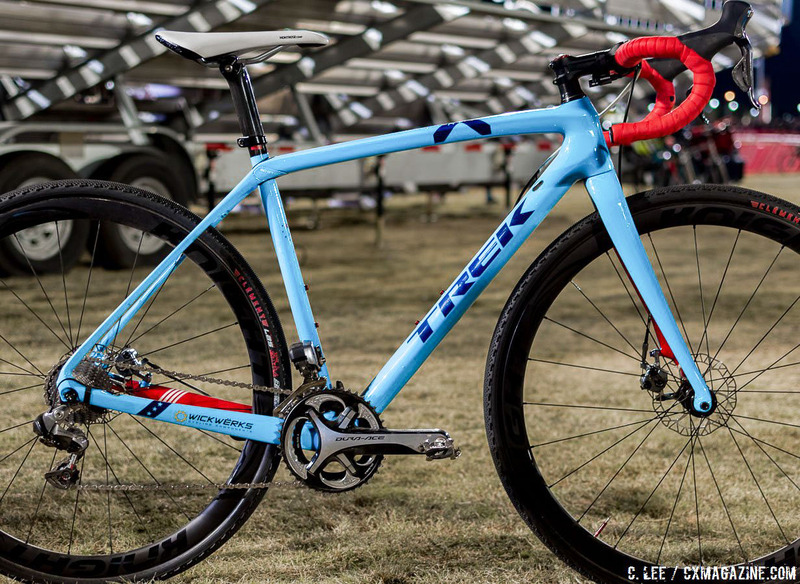 Compton pulled off a third place at the 2016 CrossVegas World Cup and a World Cup win at Jingle Cross aboard her Shimano Di2 and Knight Composites-equipped Trek Boone with WickWerks rings and a KMC chain. There’s enough new bits on her winning ride that we thought it’s a good time to take yet another look at the champion’s bike. Compton’s wheel sponsor this year is Knight Composites and her bike was rolling on Knight’s 35 Carbon Tubular Cyclocross wheelset. The disc brake wheelset reportedly weighs just 1239 grams, a mere 16 grams more than the company’s rim brake version. Compton dressed her wheels with Clement LAS 33 tubeless tubulars in Vegas, with a tread designed just for the grass and sand of CrossVegas. 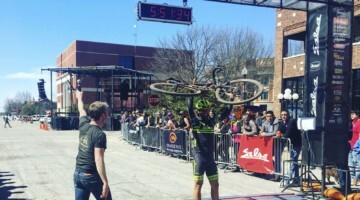 In Iowa City, Compton chose PDX tires on Saturday and MXP tubulars on Sunday (as did half the front row of the women’s race) and swapped to the Shimano rotors that feature more surface area for better braking and pad life in Saturday’s wetter, muddier conditions. Mark Legg-Compton, Compton’s husband and mechanic, built up the Trek Boone bikes leaving no detail overlooked. Legg-Compton admitted he likes to geek out on the details just because he can, even if they may make little difference. A prime example is the use of titanium, drilled mounting bolts to mount the brake calipers and drilled titanium washers beneath them. He also sourced an ultralight expander plug for the fork from Fairwheel bikes to save a handful of grams, and for dry weather he mounts KCNC Razor 140mm rotors on the front and back, each tipping the scale at only 62 grams for a stainless rotor, saving 32 grams each over the Shimano RT-99 counterparts that are mounted on Compton’s bike in wet weather for a better brake surface. 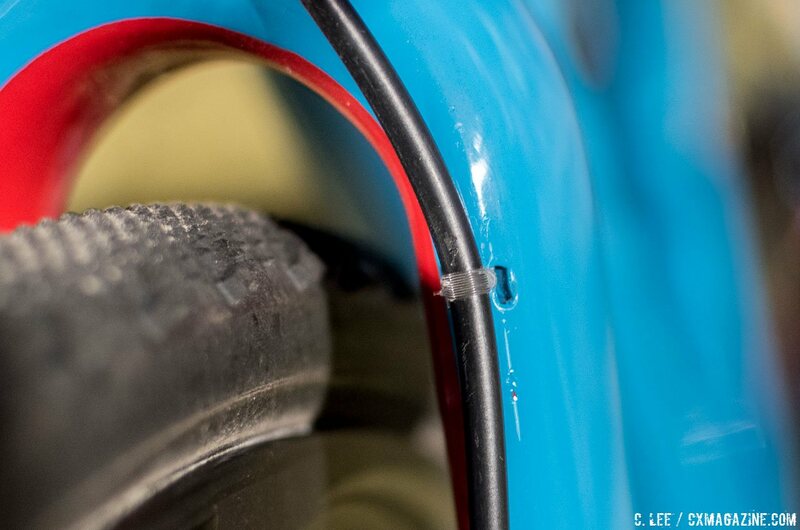 Legg-Compton eschews zip-ties to secure the brake cable housing to the fork. Instead he uses a clear nylon fishing line, for aesthetics and weight. We’re not sure what pound test it is, although fishing geeks might suggest that Compton use flourocarbon line over nylon for ultimate invisibility, at least when wet. 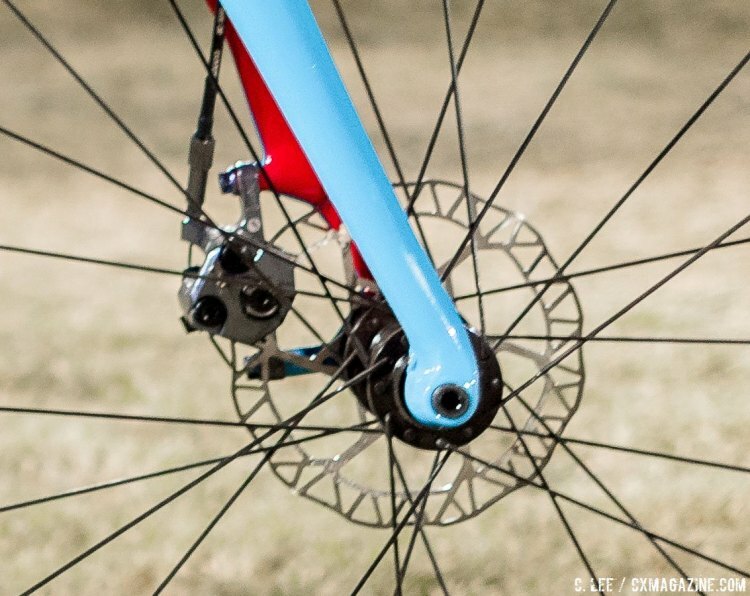 Not content to leave Shimano components alone, Compton uses Enduro XD-15 sealed bearing rear derailleur pulleys and bottom bracket bearings in her BB86 shell. 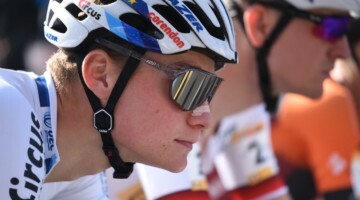 WickWerks sponsored Compton before she joined the Trek Factory team, providing her chainrings as recently as the 2014 Nationals in Boulder, and now is back as a sponsor and provides Compton’s preferred 44/34 double chainring combination. 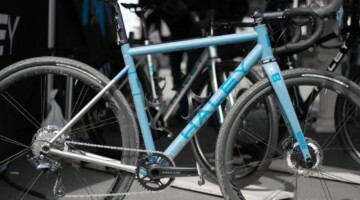 KMC is also back as a sponsor, and Compton now uses a KMC X11 SL chain with KMC’s new design with extensive chamfering. Compton adopted the new chain design in Vegas after suffering from a broken chain at the Trek CXC Cup, and as we reported in this close-up look at the new KMC chain here, she says the chain shifts better and doesn’t drop when pedaling backwards. 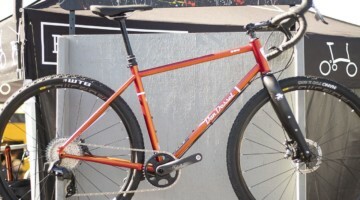 It should also hold up better under the stresses of the WickWerks chainring’s aggressive shift ramps. 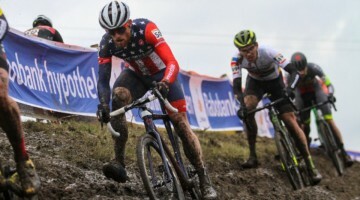 It seems like professional cyclocross racers are either on the cutting edge or trailing edge when it comes to component choices, especially brakes. 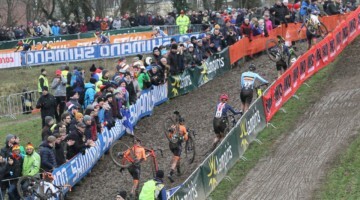 Caroline Mani, Jonathan Page and a number of Europeans are loyal to old-school cantilevers, while others swear by the braking and modulation of modern hydraulic disc brakes. 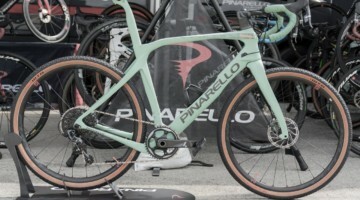 Most surprising is that Compton splits the difference, and has a number of her bikes equipped with Shimano BR-CX77 mechanical disc brakes paired with Dura-Ace 9070 Di2 levers instead of the more popular Shimano R785 hydraulic STI levers and RS785 hydraulic brakes (although she has hydraulic brake bikes as backups). Legg-Compton says Compton dislikes the hydraulic levers because the weight of the master cylinder up high on the handlebar affects steering feel. Based on published lever weights, our calculations show that the 9070 levers are 231 grams lighter, or about a half a pound, not factoring hoses or houses or cables. 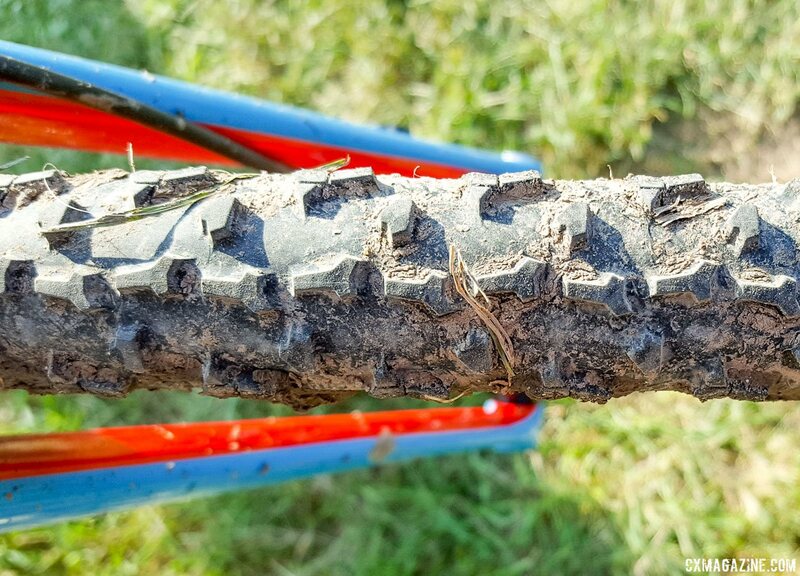 At the hilly Jingle Cross, Compton, a noted weight weenie, opted for the mechanical disc brake bikes with stock resin (organic) pads. 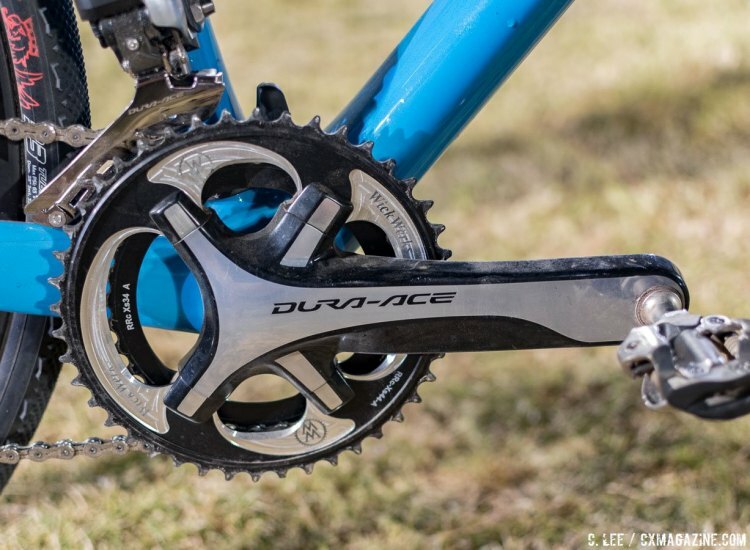 The majority of her drivetrain is Shimano Dura-Ace 9070 Di2 STI levers, front and rear derailleurs, with a Dura-Ace 9000 cassette. 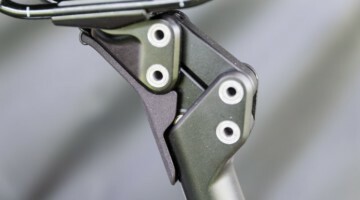 Compton has used various techniques over the years to add grip to her shifters, including using Superglue and sand on her Di2 levers and SRAM Red DoubleTap levers, but her Trek Boone’s Di2 9070 levers have Bondic, a UV cured plastic, applied along the back edges to make button differentiation and shifting easier, especially while wearing gloves. Legg-Compton described how Compton merely has to lightly flick the lever back to initiate a shift with the new ridges. 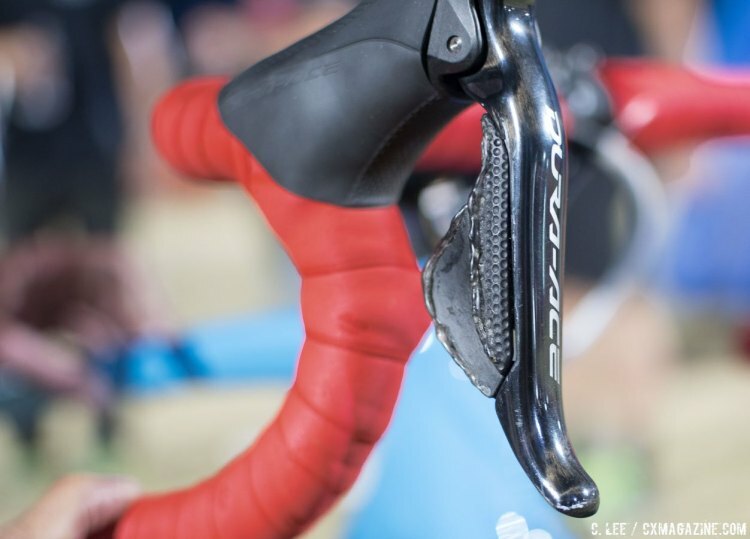 Compton also has Di2 sprinter levers to shift from the drops. 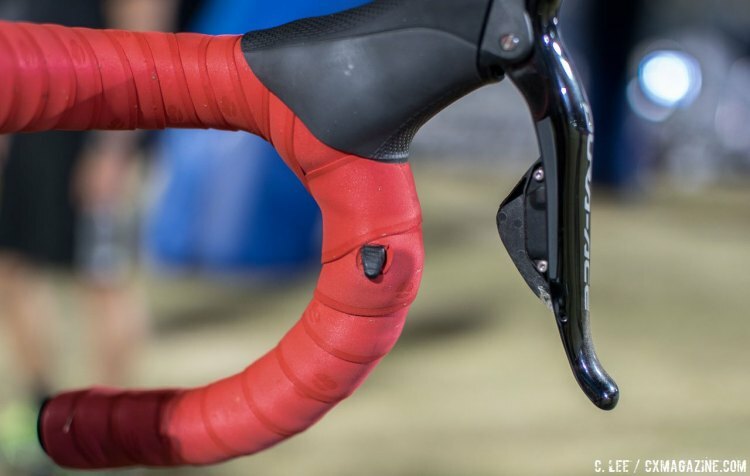 Another interesting note is that Compton’s bars are taped all the way to the stem. Conspiracy theorists have guessed the tape is to hide the brand or model of the bar, but underneath are the same Bontrager RXL carbon handlebars she used to win Nationals in Asheville but have since been discontinued. 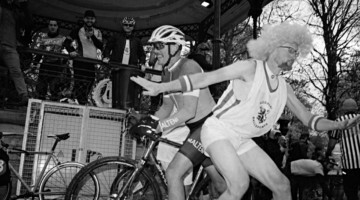 There’s nothing to hide here, but it’s simply to tape the bar wherever Compton might put her hands, as she might want to get aero as she powers away from her competition. (We asked about whether it was a Thomson KFC bar under the tape, and Legg-Compton informed us it is not, but that the KFC label has sadly been discontinued by the company, although the same bar exists without her name or royalty payments). 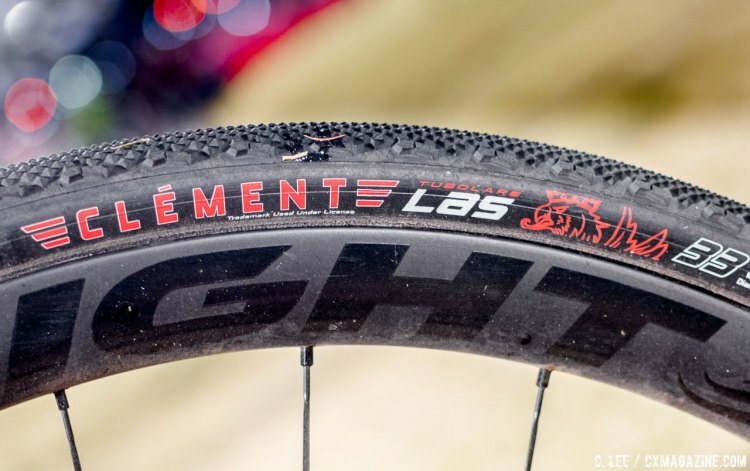 With all these new components and trick parts, the complete bike tips the scale at 16.2 pounds, according to Legg-Compton. 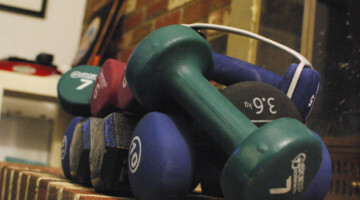 Compared to her cantilever Boone that we personally weighed in Boulder, it’s about .6 pounds heavier. 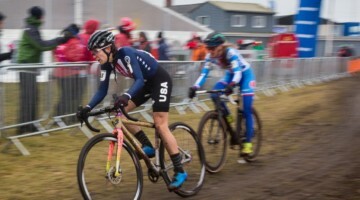 Compton changed up her gearing and tires over the week, swapping her 11-28 cassette for CrossVegas to a 11-32 for the hilly Jingle Cross course. 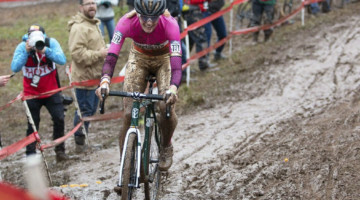 For the muddy World Cup on Saturday, Compton swapped her LAS tires for PDX tubulars, and then for the drier Sunday UCI C1 race, used the all-around MXP tubulars, an Editors’ Choice Award Winner, and the most popular tire on the front line of Sunday’s UCI C1 race in Iowa. Full photo gallery below the specs. 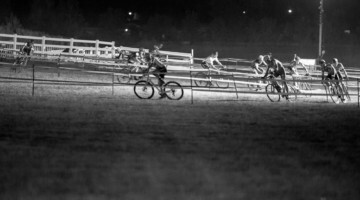 See our ever-growing Jingle Cross coverage here. 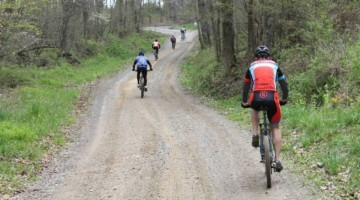 Sold a couple of Boone this year at Fastridercycles. Beautiful frames. Think i’ll get myself a Crockett and join in the fun! Lovely bike pr0n! What is that skewer out back? what’s with the shifters? looks either melted or glued for a ridge or grip? 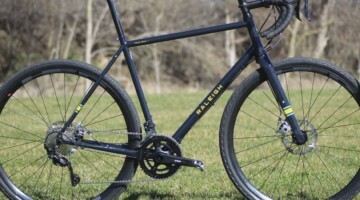 Any idea about the length of the crankarms? 175mm, she’s used that for a while, good question. So, it was a KMC chain that broke in Waterloo? Asking for a friend. The KMC chain was a lightweight chain that didn’t match well with the Wickwerks shift ramps. We’re running the new 2017 chains which shifts faster and won’t derail if you backpedal in the cross-over gear. I have confidence in the new chains will see us through the season. Katie worked with Trek specifically on this problem. Toe overlap isn’t an issue on a 52cm. 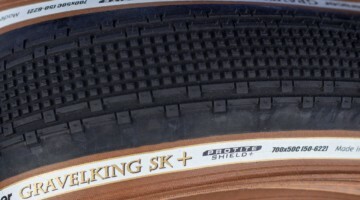 It was developed without affecting the handling of the bike. 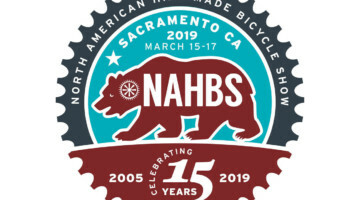 Most engineers are men who don’t ride small sized bikes so they don’t have personal knowledge of this very big issue for many women and men who ride small sizes. 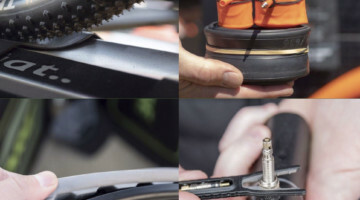 Some bike companies will kick out the fork offset or reduce the head angle to work around the toe-overlap problem only to end up with a bike that doesn’t want to turn in or one with a large amount of wheel flop. The Montrose Comp is the heaviest of the line. Why?